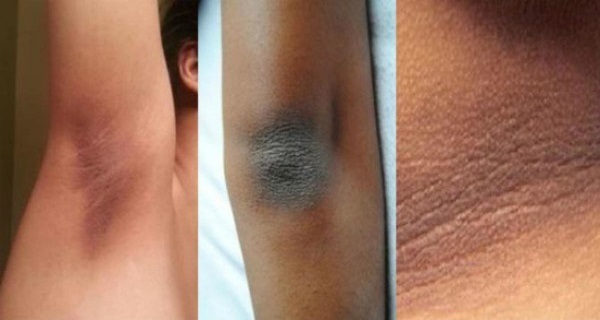 Dry and dark skin on the elbows, knees, neck and underarms is a common cosmetic issue for both sexes. Although dermatologists claim it’s nothing serious, it does affect a person’s self-esteem, especially in the summer, when clothing is more revealing. There are a number of contributing factors for this skin condition and the most common include the biological process of aging, sun exposure, pigmentation problem, and more. The truth is skin that’s not surrounded by oil glands, such as the skin on the elbows and knees, is more prone to drying and folding. This skin is usually much thicker too. When it comes to dark underarms, the most common culprits include cosmetic products such as shaving creams, antiperspirants, regular creams, etc. Luckily, natural medicine is well-equipped to deal with this type of skin condition. Read on and find out what are the best treatments for removing dark skin on different parts of the body. Cucumbers can do wonders for dark skin especially when combined with lemon juice. This is one of the most effective combinations for eliminating dark skin on the underarms. Cucumbers are also beneficial for relieving the tingling sensation, while lemon is a natural whitening agent. Start by combining some turmeric, lemon and cucumber juice. The cucumber juice cools down your skin, the lemon juice lightens your skin and removes dead cells from the skin and turmeric prevents staining. The method is quite simple – apply the mixture on your underarms. Let it dry for 5 minutes then rinse it off with some cold water. Repeat the treatment on a daily basis until you see improvements. Mix all the ingredients and until well-blended. Apply the mixture on your underarms letting it act for an hour. Rinse it off with cold water. This highly beneficial mask will nourish, cleanse and whiten your skin. Repeat the treatment twice a week. The medicinal properties of aloe vera, especially in relation to skin health, are undeniable. For one thing, aloe nourishes and hydrates the skin while acting like a powerful whitening agent. Aside from lightening your complexion, it also reduces the appereance of many different skin blemishes, such as aging spots. Apply some aloe vera gel, preferably freshly squeezed from an aloe vera leaf, on your neck and let it act for 20 minutes. Wash it off. Repeat the treatment on a regular daily basis. Baking soda is an amazing skin exfoliant, which effectively removes dark patches on your skin. This powerful mix of baking soda and water is one of the best home treatments for hyper pigmentation. Mix baking soda and water in a ratio 3:1. Apply the paste on your neck and let it dry then rinse it off with cold water. Repeat the treatment twice a week. As we already mentioned, lemon is abundant in vitamin C. It’s because of this that lemon juice nourishes and regenerates your skin, while removing dead skin cells. Plus, it tones the skin as well. Rub the lemon juice on your elbows and knees for 5 minutes. Let it act for 20 minutes before rinsing it with some warm water. In the end, apply some nourishing cream. To get some extra benefits, add some honey in the lemon juice. Sugar, i.e. sugar granules are extremely beneficial for eliminating dead cells from your skin. This sugar mask will also tone your skin. Start by making some thick paste using equal amounts of sugar and olive oil. Apply the mixture on your knees, elbows rubbing it in for 5 minutes. Rinse it off with cold water. Repeat the treatment once a week.